Clove or Laung is an aromatic herb native to Indonesia. It has various health benefits as it helps relieve nausea, vomiting, stomach upset, muscle cramps, toothache and several other ailments. It is also promotes digestive health. Moreover, this ancient culinary spice is used in cuisines all over the world. Apart from food, it is used for flavoring some wines and alcoholic beverages as well. 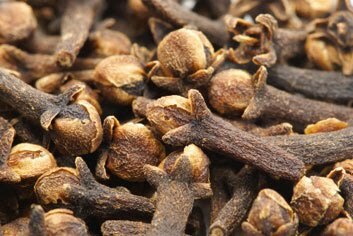 Cloves are characterized by an intensive fragrance, warm flavor and pungent taste. For medical purposes, its dried flower buds and oil are used. 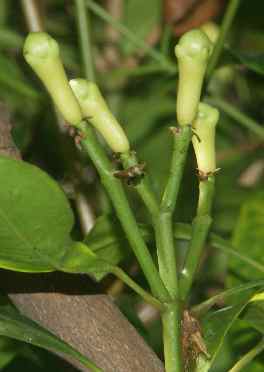 Cloves originated in the Moluccas volcanic islands of Indonesia. This valuable aromatic spice is mostly grown in tropical belt countries. It is commercially produced in Pemba, West Indies, Sri Lanka, India, Madagascar and Brazil. The herb belongs to the Myrtaceae family. 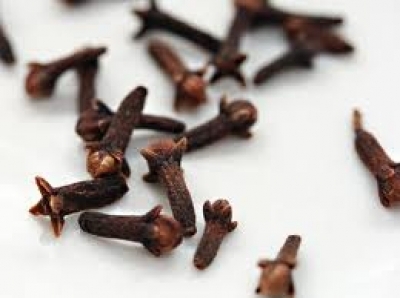 Cloves possess antibacterial, anesthetic, aphrodisiac, analgesic, antispasmodic, carminative and stimulant properties. Moreover, the herb contains eugenol, a compound which works as a potent platelet inhibitor. In other words, it helps prevent blood clots. Thus, Laung or clove benefits your cardiovascular health, too. Plus, due to its anesthetic properties, eugenol extracts derived from clove are often used during dental procedures such as temporary fillings, root canal therapy, etc. Apart from eugenol, cloves contain eugenol acetate, ÃŸ-caryophyllene, triterpene oleanolic acid and beta caryophyllene. The valuable herb has flavonoids, including kaempferol and rhamnetin that contribute in its anti-inflammatory and antibiotic qualities. In addition, it is beneficial in reducing blood sugar levels. Its anti-fungal qualities make clove oil effective in reducing Athlete’s foot and Ringworm. When taking internally, it helps cure diarrhea. As this herb helps fight infections, it is can prove useful in curing cholera, tuberculosis, intestinal worm, malaria, etc. 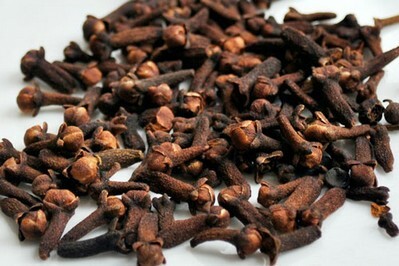 Studies on animals suggest that cloves can assist in fever reduction as well. Besides, benefits of clove also include relieving headache. The herb’s expectorant properties help reduce bronchial problems. Moreover, it can be used for dealing with issues like cold feet because it stimulates circulation. Nutrient-wise, cloves are rich in manganese, vitamin C, vitamin K, magnesium, potassium, calcium and omega-3 fatty acids. • Having a mixture of clove powder and honey is one of the best clove home remedies to for nausea, vomiting, abdominal bloating and upset stomach. • Add 2-3 cloves in a cup of boiling water and let it steep for about ten minutes. Finally, sweeten it with honey and drink the decoction to get rid of flatulence and gas. • Prepare a paste by adding salt crystals, cloves and some water. Now, apply it on your forehead and temples. This is one of the most valuable home remedies for headaches using cloves. • Applying a solution of a quarter teaspoon of olive oil mixed with a drop of clove oil is a highly beneficial home remedy for reducing teething pain. • When troubled by gum or teeth problems, you can apply fried cloves in powdered form on the affected area. To heal a nasty toothache, soak a cotton ball in clove oil and place it around the aching tooth. Watch this video showing how to prepare a clove oil home remedy for oral pain. • It is believed that massaging clove oil on the belly helps the uterus in contractions during child birth. • Cloves benefit in healing earache too. For this, you need to take a teaspoon of sesame oil and saute a clove in it. Finally, put 3-5 drops of this solution (when it is comfortably warm) in your ear to get rid of the pain. • Boil a teaspoon of cloves in about ten cups of water until the quantity of water reduces to half. Intake of this therapeutic decoction several times in a day will aid in the natural treatment of Cholera. • Prepare an infusion by boiling one liter water mixed with a teaspoon of cloves. Strain the solution after 15 minutes and drink the resultant solution three times in a day to treat motion sickness, especially when caused due to change in altitude. • Clove tea douche can help reduce vaginal yeast infections. • When dealing with warts, you can put a few drops of clove oil on a band aid and apply it on the affected area. Replace it daily. Follow the procedure for a few weeks or even a month to heal this problem. • Consuming clove tea aids in relaxing the nervous system and serves as a mild sedative. Plus, it is good for asthma patients. • Simply chewing a clove bud can help soothe a sore throat. • Application of clove oil on the affected area works as an efficient natural home remedy for muscular cramps and arthritis pain. You could also use a clove tea compress for this purpose. It is believed that sucking cloves tends to curb one’s desire for alcohol. Plus, it helps you get rid of bad breath. In Indonesia, people often smoke cigarettes flavored with cloves, that is, kretek. The herb is widely used in toothpastes and mouthwashes as well. Due to its sweet aroma, clove is also added in soaps and perfumes. In addition, this powerful herb serves as a great mosquito and moth repellent. This, however, has not been proved scientifically. Furthermore, rinsing your hair with clove tea can refresh the color of auburn dyed hair. Though clove is a safe spice still, a fairly small amount of individuals may be allergic to it. Those suffering from hypertension should also avoid taking this herb. This stimulant herb is not considered good for bilious people. Plus, children should not consume clove oil or supplements. Besides, clove oil should not be applied on skin for long, or else it may give rise to burning sensation, sores or rashes. As eugenol present in clove slows down blood clotting, it is suggested to discontinue its use at least two weeks prior to a surgery to reduce the chances of bleeding. When taken in excess, cloves can cause heartburn. 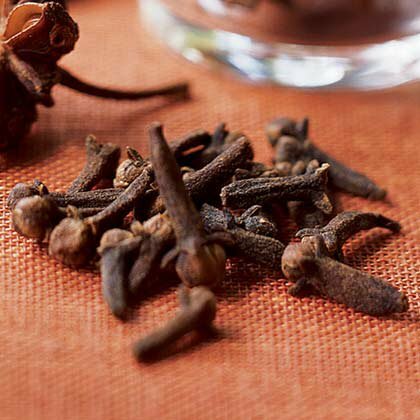 Nevertheless, as this herb is used in Ayurvedic and Chinese medicine as well as Western Herbalism, it shows that clove benefits in healing a number of diseases when taken properly.